The Dragonfly Telephoto Array, a robotic imaging system optimised for the detection of extended ultra-low surface brightness structures. The array consists of Canon 400mm f/2.8 L IS II USM telephoto lenses coupled to science-grade SBIG STF-8300M CCD cameras, all carried by a Paramount ME-II German equatorial mount. The lenses are mounted on a common framework and are co-aligned to image simultaneously the same position on the sky. 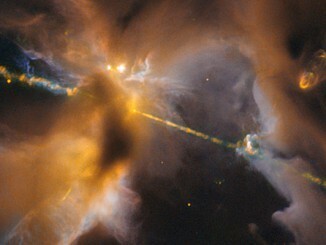 Image credit: University of Toronto/Yale University. On Monday, May 25th, Roberto Abraham (University of Toronto) delivered the Helen Sawyer Hogg Lecture entitled “First Results from Dragonfly” at the 2015 meeting of the Canadian Astronomical Society / Société Canadienne d’Astronomie (CASCA 2015) at McMaster University in Hamilton, Ontario. In his public talk, Abraham described a unique telescope, the Dragonfly Telephoto Array, one of the smallest professional astronomical telescopes in existence. 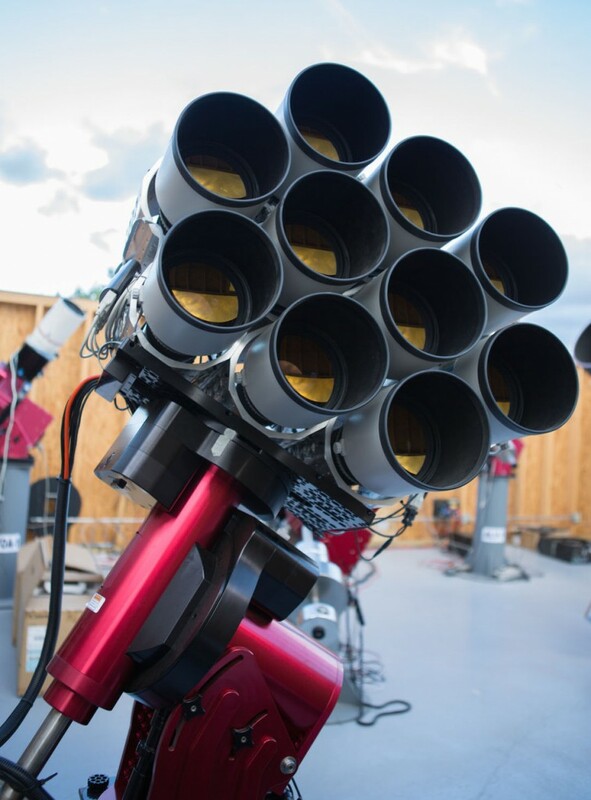 Dragonfly is a multi-lens array with the power to detect very faint structure associated with galaxies (predicted by models of galaxy evolution), as well as faint dwarf galaxies and supernova light echoes. Abraham showcased early Dragonfly results, including the discovery of a new class of ghostlike, “fluffy” galaxies that are as big as the Milky Way but a thousandth the mass. Dragonfly is an innovative, multi-lens array designed for ultra-low surface brightness astronomy at visible wavelengths. Commissioned in 2013 with only three lenses, the array is growing in size and proving capable of detecting extremely faint, complex structure around galaxies. According to Cold Dark Matter (CDM) cosmology, structure in the universe grows from the “bottom up”, with small galaxies merging to form larger ones. Evidence of such mergers can be seen in faint streams and filaments visible around the Milky Way Galaxy and the nearby M31 galaxy. Also, Dragonfly images a galaxy through multiple lenses simultaneously — akin to a dragonfly’s compound eye — enabling further removal of unwanted light. 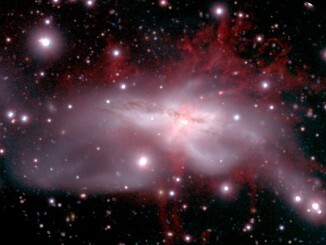 The result is an image in which extremely faint galaxy structure is visible. 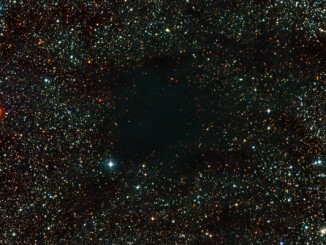 Dark smudges almost block out a rich star field in this new image of the Coalsack Nebula captured by the 2.2-metre telescope at ESO’s La Silla Observatory in Chile. This huge, dusky object forms a conspicuous silhouette against the bright, starry band of the Milky Way and has been known to people in the Southern Hemisphere for as long as our species has existed. An international team led by a researcher from Hiroshima University has succeeded in revealing the detailed structure of a massive ionised gas outflow streaming from the starburst galaxy NGC 6240, 350 million light-years away in the constellation Ophiuchus. The team used the Suprime-Cam mounted on the 8.2-metre Subaru Telescope on Maunakea in Hawaii.